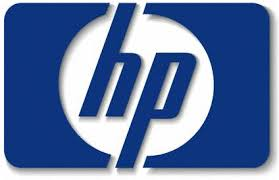 Hewlett-Packard Company (NYSE:HPQ) announced its fourth quarter and fiscal 2014 financial results with revenue drop in every single sector including its enterprise hardware and services demand. The computer hardware and printer manufacturer reported less than expected revenue for the quarter. HP is likely to separate its enterprise division from its printing and traditional computer divisions next year. Further Whitman said that enterprise growth would be much better next year. During the fourth quarter, personal computer unit of Hewlett-Packard Company (NYSE:HPQ) grew 4% whereas enterprise group and services revenue dropped by 4% and 7% respectively. Last month, Hewlett-Packard Company (NYSE:HPQ) announced the separation of its enterprise business from its traditional personal computer and printer business. While discussing the partition, Whitman said, “This separation was totally the right thing to do for this company.” The proposed partition is likely to cause up to 5,000 job cuts and it would result into two separately listed companies dividing its faster growing corporate hardware and services business from its traditional printer and traditional computer segment.